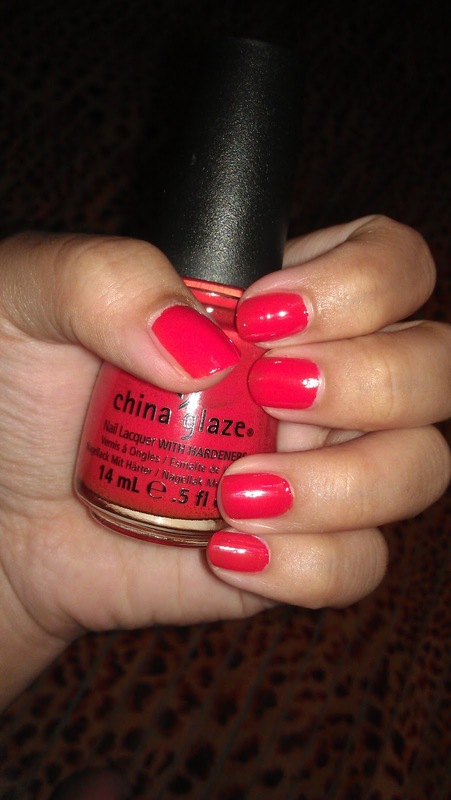 I'm currently loving China Glaze's Wicked Collection Nail Polish! It reminds me of Halloween b'cuz it comes in three Laquers and one Glow in the Dark Nail Polish & I think the name gives it away right! 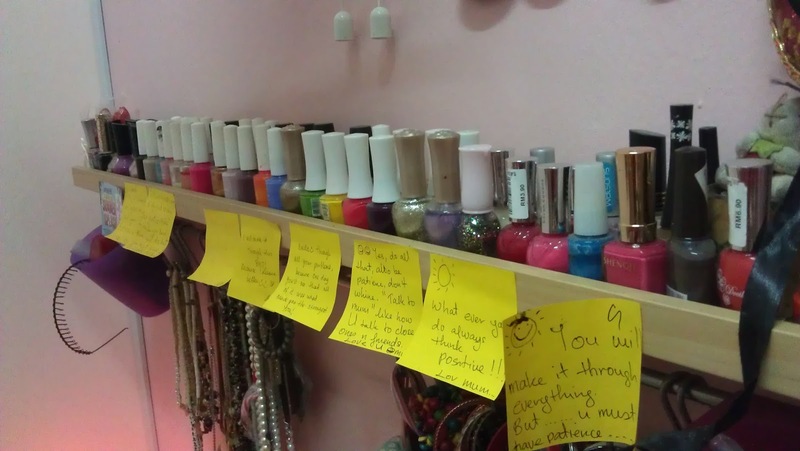 I am a big fan of nail polish. I love doing my own manicure & pedicure. I think it's more satisfying b'cuz I get the results I want. With these new babies added to my current collection, I am definitely going gaga over it! ~Although I think I have to find a new place to store them. Any Ideas?? I would love to get your feedback! 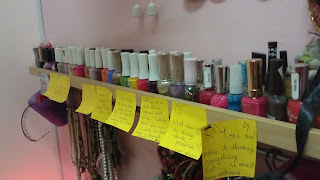 My current Nail Polish Collection. China Glaze has been in the market for 13 years. 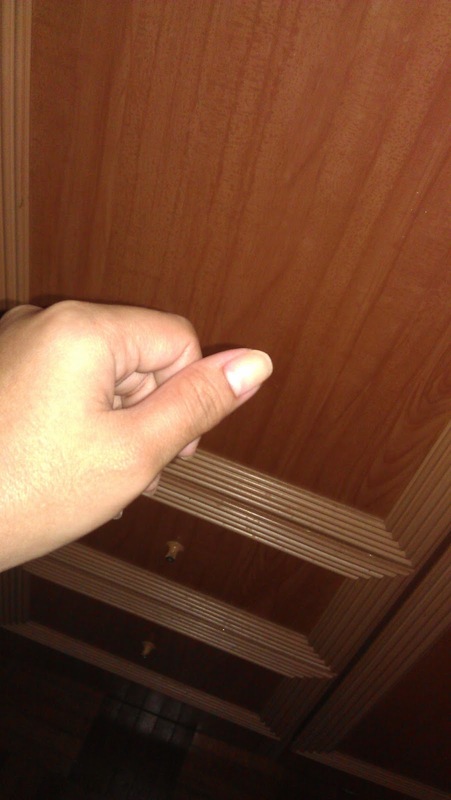 Their lacquers contain China Clay as a nail hardener. The colours they have are all top-class and in-trend with what girls want. innovative colours and treatments. Their inspiration can be of anything from Tahiti's shores to New York nightlife, to every woman's inner glampuss. What's most impostant is that their colours are free of DBP, toluene and added formaldehyde. Check out China Glaze Malaysia for more details! Okay, are you ready for my babies?? 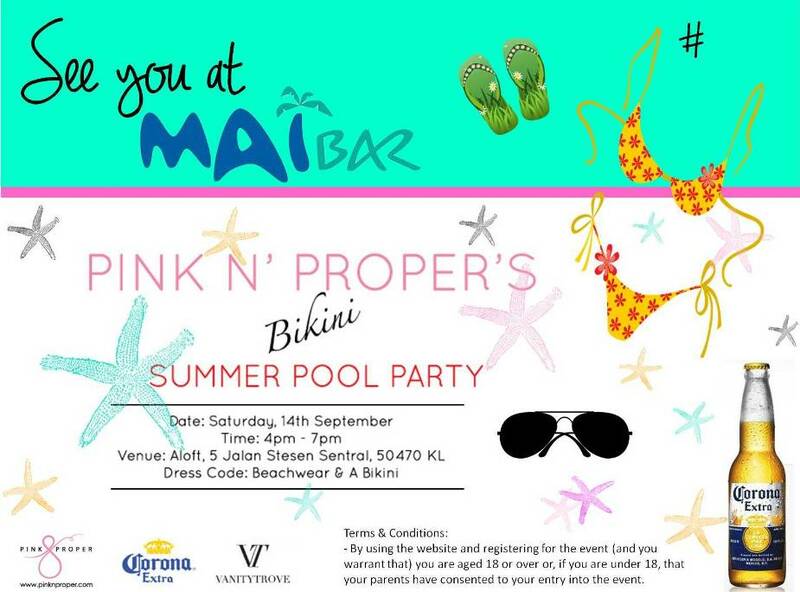 China Glaze Malaysia was one of the sponsors for PinkNProper's Bikini Pool Party which was held on the 14th of September 2013 at Aloft Kuala Lumpur Sentral. Glow in the dark . Sorry i had to use the flash hehe.. Sorry I didn't try on the Glitter Goblin, I think that one needs to have a base coat so that the color is obvious but for the rest of my babies,I really don't know how to pick a favourite becuz i love em all!! I never bought a glow in the dark nail polish so I m quite amused by it. LOL & I love red so,the Roguish Red colour is perfect. As for the Bizarre Blurple, It's the colour I have on now, and It's gonna be my nail colour of the week. Working in bank, they're quite particular. 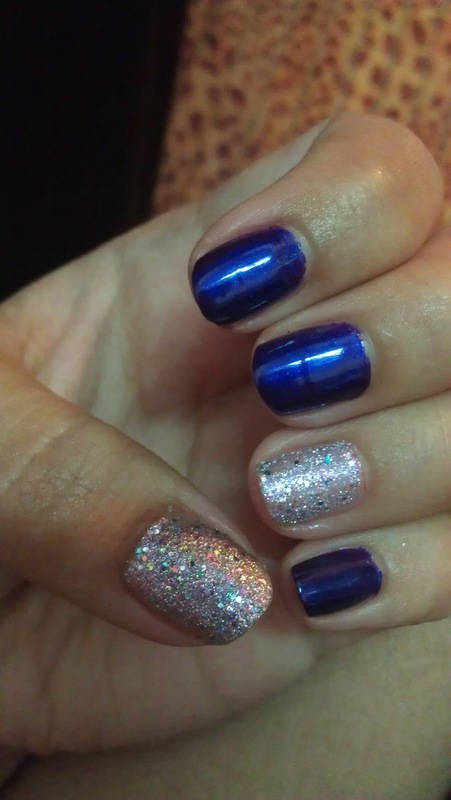 *I had pink on for the PoolParty* Last but not least, Full Spectrum, I looovvee lovveee this nail colour! 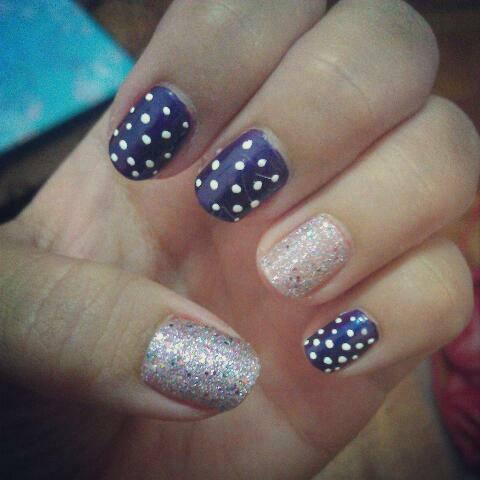 The after effect of the nail polish is like a 3D effect. I can feel the glitter. I just hope I dont peel it! LOL. 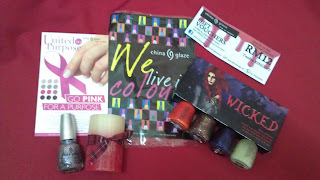 Thank you China Glaze for the the fantastic Nail Lacquers! 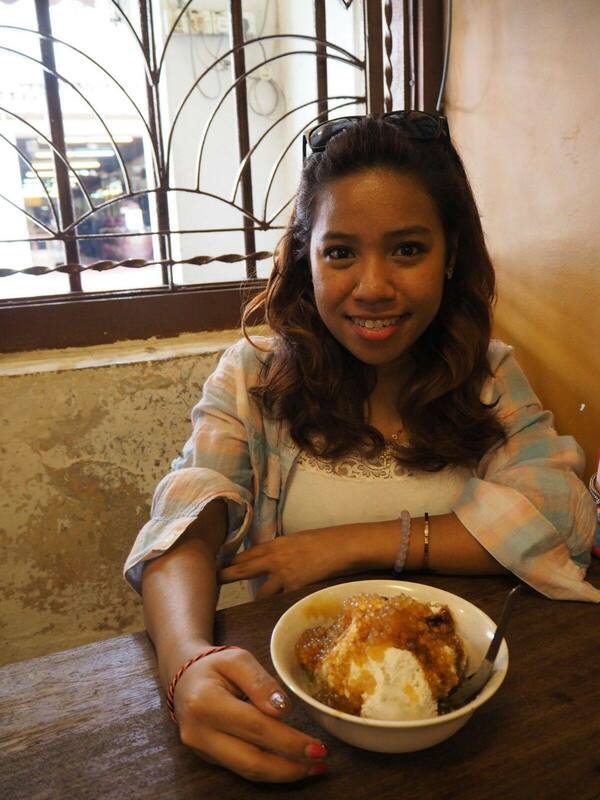 Thanks Richa! <3 Do you do your own manicure too?